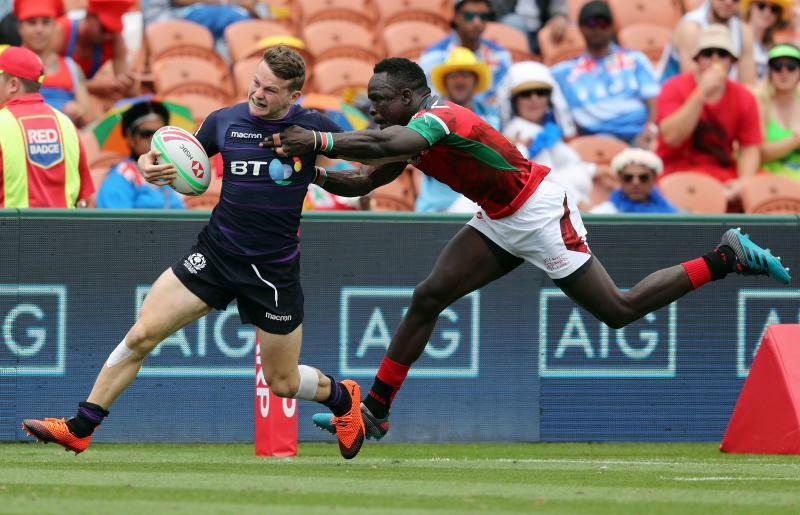 Kenya’s national Sevens team are seeking to advance to the cup quarter finals when the fourth round of the 2018-19 World Sevens Series start in Sydney, Australia, tomorrow. Shujaa, who are yet to go past the group stages this season, head to the tournament basking in seven points they picked at the Hamilton Sevens last weekend. The 10th place finish in New Zealand was Kenya’s best this season and captain Jacob Ojee says they will build on last weekend’s performance targeting the last eight spot. “We had an improved performance in Hamilton but we still have some areas which we need to work on heading to this (Sydney) tournament.We shall have a better outing if we can improve on our general play both in defence and attack,” Ojee said. Ojee was the team’s top try scorer last weekend, crossing the whitewash five times including a brace in their Challenge Trophy semi final win against Argentina. The KCB winger, who is making a return to the squad for the first time since 2014, lauded the recent team’s hard work. “The scoring opportunities came as a result of the hard work we put in as a team. I just happened to be at the right positions to finish off our structured plays,” said Ojee. “As a leader, you tend to want to motivate the guys not only through scoring but also instilling the belief in them,” added Ojee. Shujaa have been drawn in pool B where they will face Hamilton Sevens silver medalists USA, Canada and France and Ojee is keen to lead his side to top the pool.